The Cayman has enjoyed the accolade of being one of the finest handling cars available - at any price - since it was first launched back in 2006. The Cayman S 3.4 variant built on the Boxster’s already impressive credentials to deliver a car that simply begs to be tuned, thanks to a peerless mid-engine chassis. 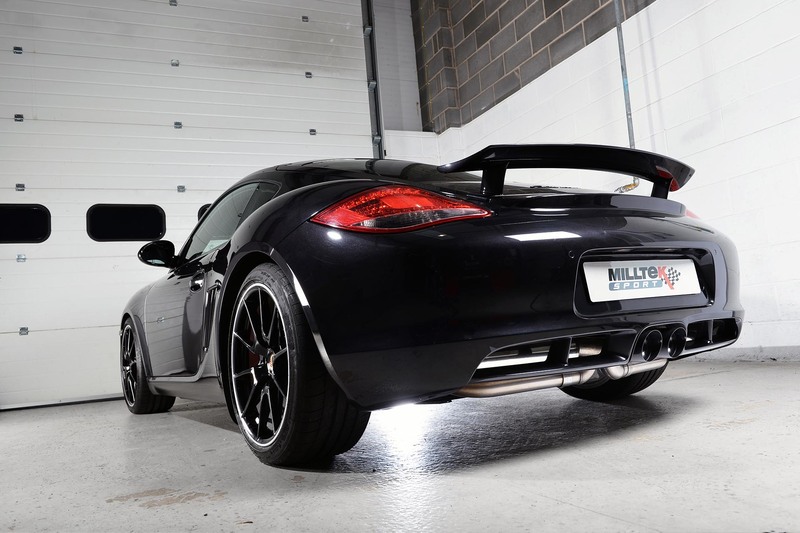 The Milltek complete exhaust system produced a healthy 21hp and 15lb/ft torque gain at the rear wheels. That's roughly 25hp at the motor or the equivalent of a 997 3.6 motor! The car now has a much more throaty sound but is quiet at idle thereby avoiding resonance problems. 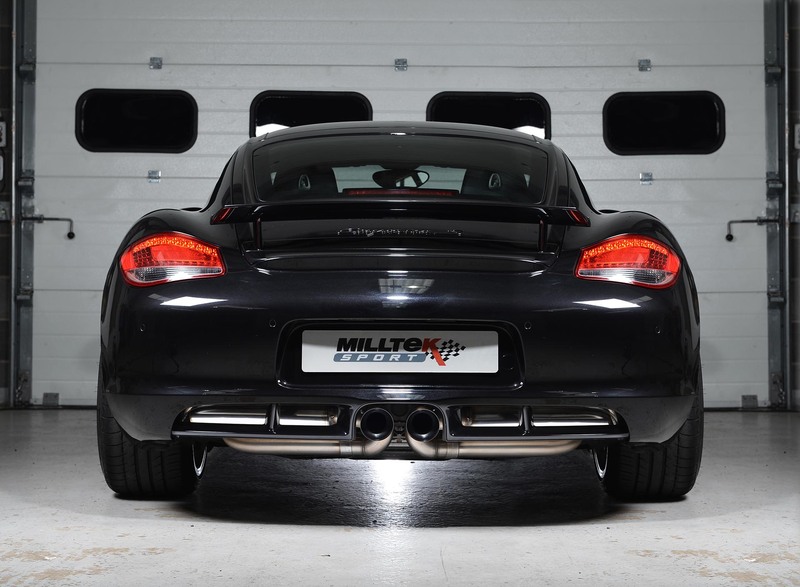 The exhaust gives the Cayman an angry snarl. I can't imagine that Milltek will be able to make these babies fast enough...the system is really that good. 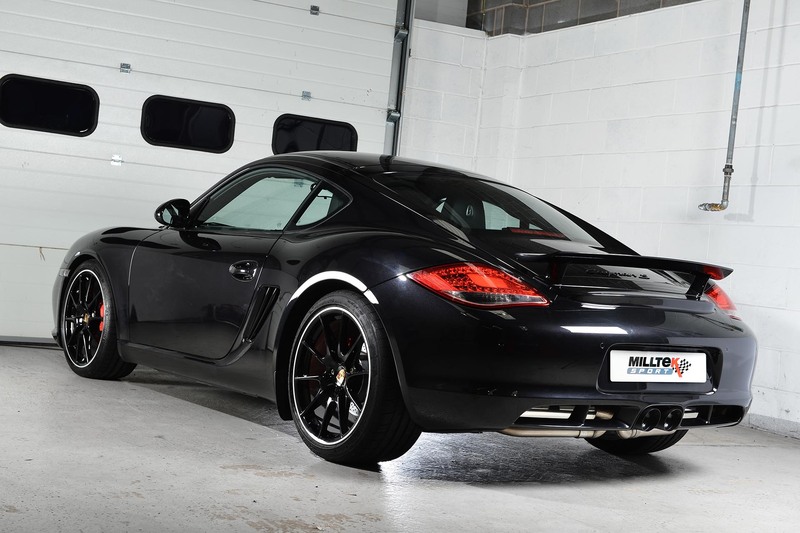 2009 saw the release of the second generation (Gen2) Cayman and customers have been eagerly anticipating the release of a system designed specifically for the newer model. For owners of the 3.4 ‘S’ variant, the wait is now over. 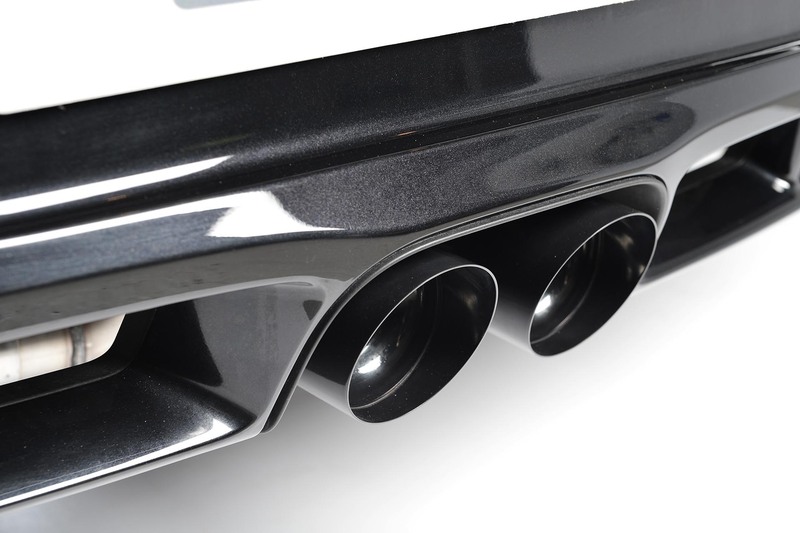 Based around a sophisticated cat-back design, the new Porsche system has been hand-fabricated from twin 2.25" / 57.15mm non-magnetic stainless steel tube. This diameter was chosen after extensive testing proved it to be the perfect size to balance flow with back-pressure. Thanks to Milltek’s insistence that all components integrate seamlessly with the factory parts, this is an easy fitment for all owners and tuners. Enthusiasts can also add in the options of a resonated or non-resonated section to detune or increase noise as their demands dictate. All pipework and box fabrication is completed by Milltek’s time-served craftsmen here in the UK and 304 grade stainless steel is employed throughout. Sound levels have been carefully honed across all options to ensure that while all sound sporting and purposeful under load, none induce unwanted cabin ‘boom’ or resonance at any speed. Looks are everything on a Porsche, so Milltek’s designers wanted to make sure that they kept their end of the bargain. Terminating in the attractive and homogenous-looking dual GT-90 polished trims, the system looks, works and feels very much like a factory upgrade option. The perfect addition to any cherished Cayman.